By launching the Urvan Premium (in both manual and automatic guise), Nissan Philippines finally has a wide-body, tall-roof van that can compete with the Hiace GL Grandia and Foton View Traveller. It afforded more luxury and space especially to private owners who may have found the NV350 Urvan a bit too cramped. But typical in this segment ruled by more monied buyers, the Urvan Premium may not even be enough. Some individuals want more luxury, perhaps with more space and amenities than your average Urvan Premium. Enter the Urvan Premium S.
Shown at the sidelines of the Nissan Intelligent Mobility drive last week, the Urvan Premium S is still in the prototype stage. With a launch window sometime early to mid-2018, the Urvan Premium S will join the Urvan line-up by then as a dealer option. It’s the work of master customizer Atoy Llave. Nissan Philippines has not finalized the specs or pricing for the Urvan Premium S yet, but it’s understood that Nissan Philippines is targeting the Grandia LXV in terms of pricing (roughly P 2,500,000). 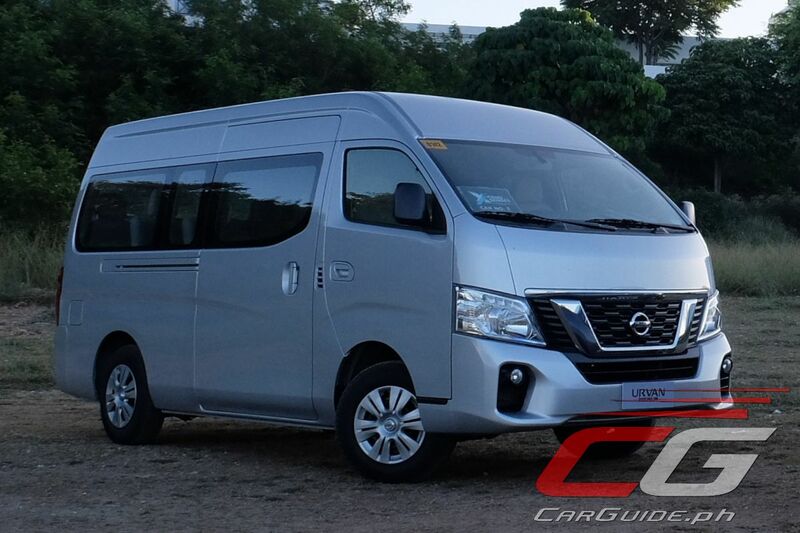 With the amount of traffic Manila experiences every single day, the addition of the Urvan Premium S to Nissan’s line-up may seem like a godsend to a lot of potential owners out there. It would be great if Nissan thought about the packaging of the Urvan Premium (stock) a bit more. For a 'premium' van it even only has black manually adjustable side view mirrors and hub caps. Not very premium in my opinion. Yes I know adding more equipment would've raised the price but those are little things that would do wonders to complete the premium vibe, never mind the basic-looking rotary aircon controls front and rear that stick around even after A-Toy works on the van and raises the price by a cool Php442,000. By the way, I understand you should buy the Premium first then A-toy will work on the vehicle to transform it to the Premium S. What happens to the stock seats they remove? Do you get to take them home?